ITS THE BIG ONE!!!! 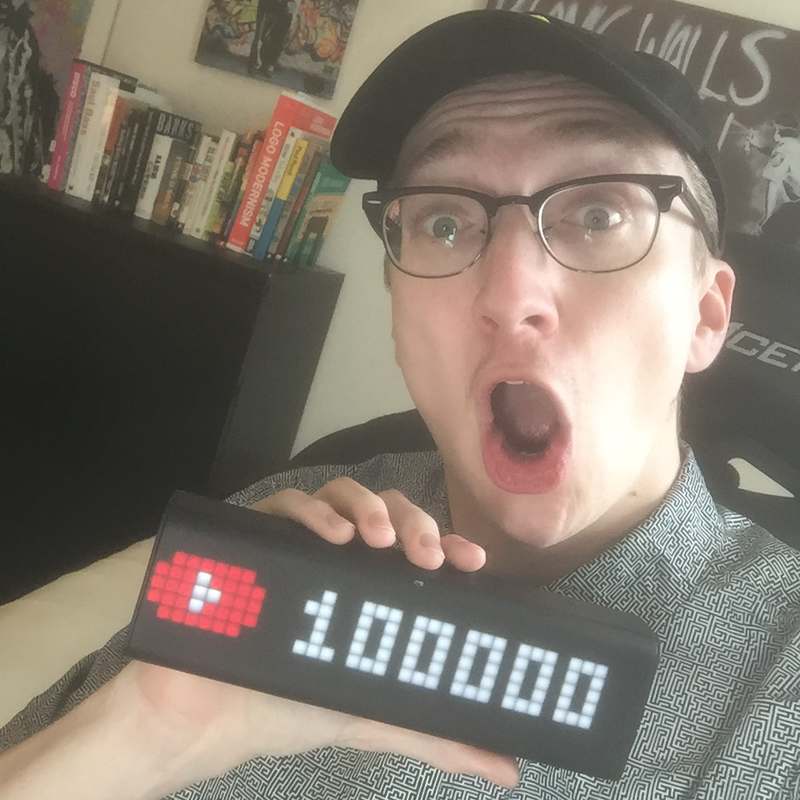 100,000 SUBSCRIBERS!!! Holy cow thank you SO very much I frickin love you all!!! Never in my wildest dreams did I think this would happen. I’m awestruck. Thank you. New visuals for All My Friends Music Festival! This summer I was asked to make the visuals for AMFAMFAMF's All My Friends Festival. Here’s a reel of the visuals I made, and for my friends who went, you might recognize these! Took about 2 months from start to finish, not to mention the week or so just spent rotoscoping - aka clawing my eyes out lol. I am also happy to say this project feels really “me” for a change and it was so cool to see all of it come to life at AMF. Thanks again to AMFAMFAMF for inviting me to make this for them, was a blast. Added a bunch of new album arts and a new logo to my site! It's all on my Design page, but I added a new logo I did for YDG as well as a couple new album arts I did for Borgeous. I also added a new video using bacon & eggs I did for Destructo to my Videos page too! Can't believe I hit 25,000 subscribers on YouTube, so crazy. Had a blast making Coach Plays Overwatch, always loved the old Left 4 Dead games!